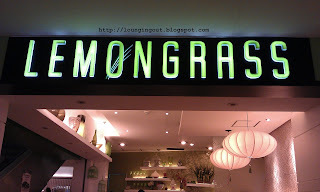 Note: There is also a LEMONGRASS "asian bistro" in the US but according to the wait staff they are not connected. We were informed that there are other branches in Cebu, Davao and SM Megamall. Since they have very similar logos, see here, and food offered made us wonder if the staff was just misinformed. But then again, we were just there for the food! 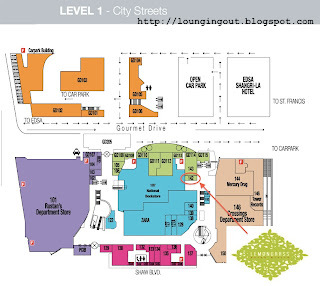 Shangri-la Plaza Mall is at the corner of EDSA and Shaw Blvd. 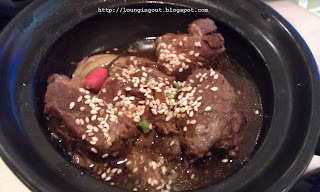 If you are going North along EDSA, turn right to Gourmet Drive right after the Shaw Blvd. If you are going South along EDSA, turn right after Star MAll (Shaw Blvd. ), take a U-turn under the flyover, turn left to EDSA, turn right to Gourmet Drive first street after Shaw Blvd. It gives an impression of class, as if the restaurant is out of place somehow but the place looks cozy and some tables have lounge chairs and sofas. 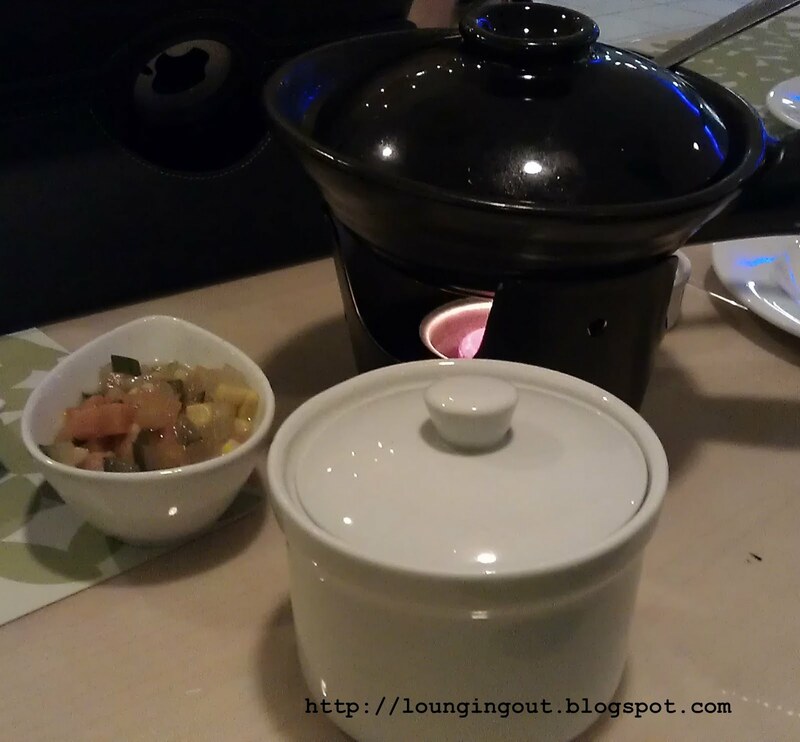 LEMONGRASS serves a mixture of the various Asian Cuisines. More on the Korean, Thai and Japanese side from the dishes we've sampled. 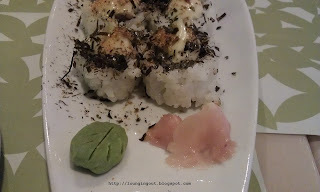 For starters, we ordered Japanese, Togarashi Spicy Tuna Roll (Php195) since we love sushi, sashimi and maki, we thought this would be a great appetizer. 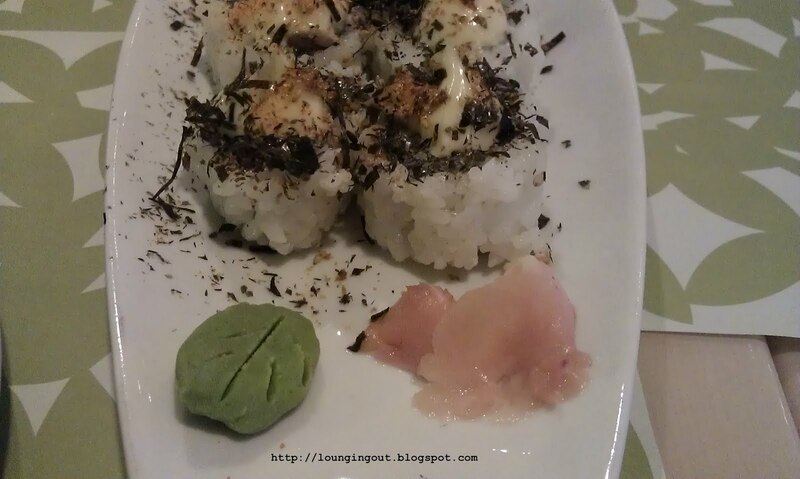 It was a pleasant surprise to find this king of maki in a fusion restaurant. However, we all wondered where the spicy tuna went... we tasted neither tuna nor spice... still it was a great dish to start us off. For soup we had Thai, Tom Yum Goong Prawn Soup (Php245). The soup is mildly hot, just enough for our taste so we enjoyed it. 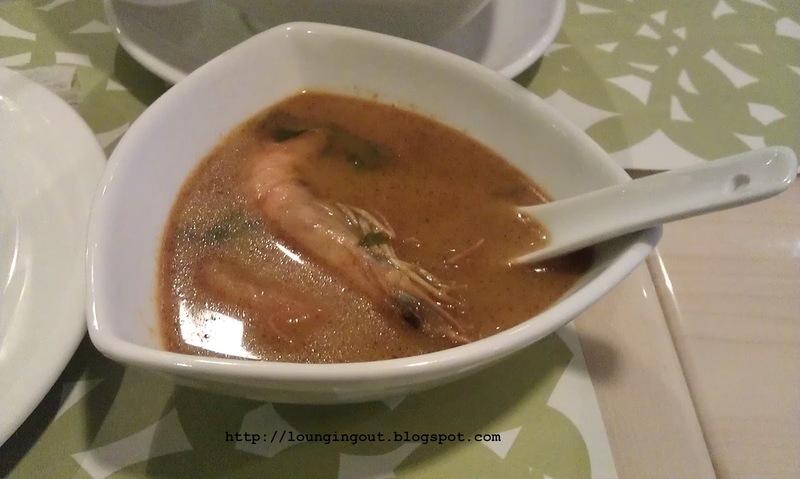 The prawns looked like shrimps both in the size and appearance but we have to say, this is one of the better Tom Yum's we've tried in the Philippines. We tried their Lemongrass Tea (Php105). What we got was far from what we expected, we were divided on this one. We all expected some sort of Iced concoction, we were surprised to find out the beverage was a cocktail of different fruits (lemon, aloe and dragon-fruit) with a hint of lemongrass, or as some of us would argue lemongrass boiled in water with fruit bits. It was good thing, we also tried their Milk Tea with Black Pearl (Php125), which washed away the lemongrass taste from our mouths after sipping the Lemongrass tea. 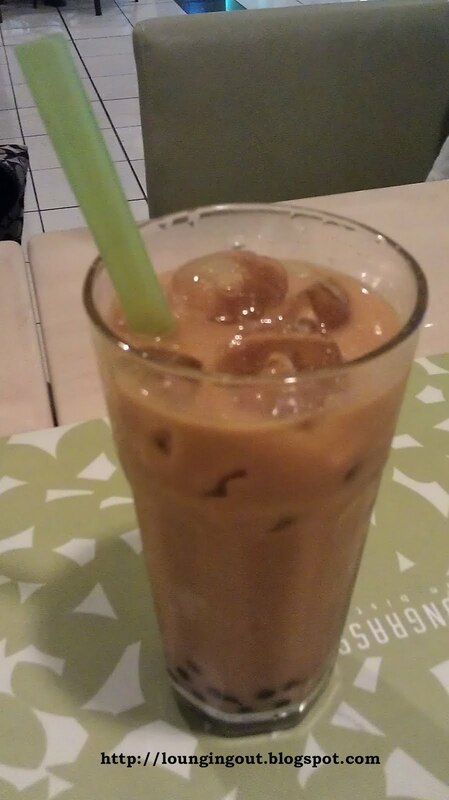 The Milk Tea is what you'd expect it to be, it's good to get something ordinary once in a while. 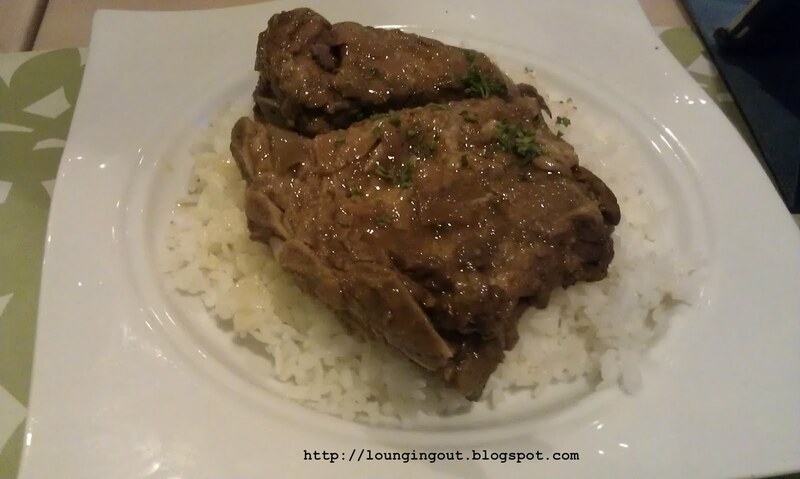 The LEMONGRASS Baby Back Ribs BBQ with Rice (Php295) we had was a bit perplexing. The Baby Back Ribs were soft and the texture was good, but it appears to have been boiled and looked more liked Adobong Baby Back Ribs than a BBQ! 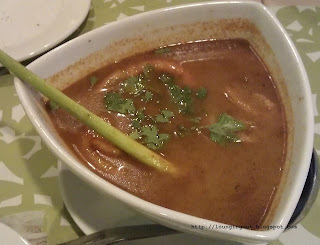 The taste was not bad, but nevertheless, it was one of the more disappointing dished we had this night. The Homestyle Korean Beef Ribs with Steamed Rice (Php280) was good. The way it was served with the pot and candle was a great touch but the dish itself falls short of the presentation. This dish is a little sweet but chili (siling labuyo) is included for those who want a spicier version. We also tried the Thai Shrimp Paste Pork (Php230). 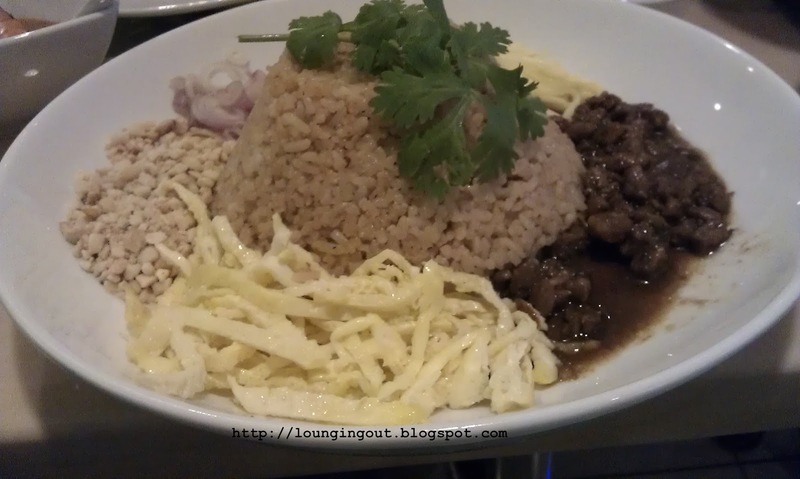 What sets apart from the usual Bagoong Fried Rice we usually have in Thai restaurants is the added peanut bits. It adds a unique taste to this classic Thai dish. For dessert, we tried their Mango Crepe Topped Ice Cream (Php145). 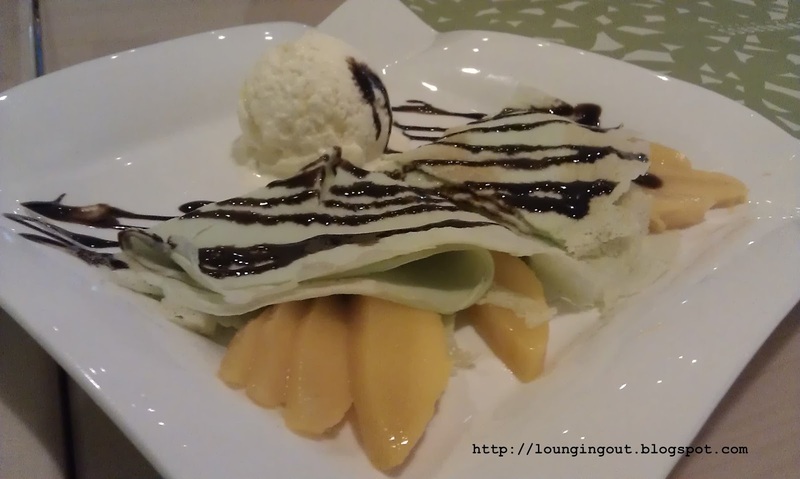 The presentation was good, though neither the ice cream nor the mango crepe was topped by the other... The ice cream is vanilla flavored with chocolate syrup. 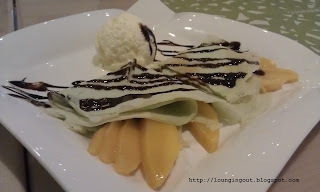 The crepe appeared to have pandan mixed into it which gives off it a faint green color and the exotic smell. The crepe in itself was not that good as it tasted and a had texture more closely resembling pancakes instead of crepes. 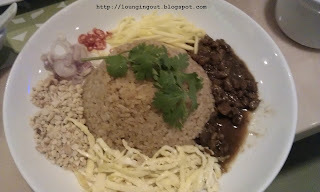 For a good sample of the dishes served in LEMONGRASS, a budget of Php300-500 should be adequate. Note: Plus Service Charge. Prices are inclusive of 12% VAT. 4 - 5: We see the potential of LEMONGRASS. Unfortunately, we had some disappointing dishes. We would say it is between 4 - 5. We remain undecided, but are leaning towards it could be worth your while at the very least.